The 2015-16 session of the North Carolina General Assembly convenes tomorrow and a lot of what will take place is very predictable. Just as it always does, the session will commence with a measure of pomp and circumstance, several self-congratulatory speeches and some grand promises about all the things that will be accomplished over the next six months or so. What happens after that, however, is a little tougher to predict this year. Some political observers are forecasting a period of calmer seas, with legislative leaders focusing more on “governing” and less on enacting additional dramatic rollbacks of 20th Century progress. Others foresee a period in which the radical policy changes and accompanying political turmoil of the past four years continue unabated. The explanation for these divergent views is easy enough to understand: Signals emanating from the powers that be in state government of late have been mixed. One minute, even ultra-conservative lawmakers are talking about the urgent need to spend more public funds on meaningful pay raises for veteran teachers. The next, others are promoting the idea of enacting still more radical policy changes like eliminating the corporate income tax – or even the income tax itself. Add to all this, the uncertain political dynamic created by the presence of a new and untested House Speaker, a veteran, seemingly all-powerful Senate leader and a Governor still trying to find his sea legs after two years and it’s no wonder things are a tad murky. Happily, as muddled as all these pre-session signals are, it is not at all difficult to forecast either the key issue or the central political figure of the drama that is to come. The issue is Medicaid expansion and the politician is Governor Pat McCrory. To say that the decision on whether to expand Medicaid under the Affordable Care Act is the issue of 2015 is not to say that it is the only important issue of 2015. There are obviously dozens: taxes, teacher pay, university funding, unemployment insurance, marriage equality, redistricting reform, consumer lending, renewable energy, coal ash, reproductive freedom, mental health just to name a few. A Families USA report in 2010 estimated that before the Affordable Care Act passed nearly 1,000 North Carolinians died each year between 2005 and 2010 due to lack of health insurance…. In 2012 researchers from the Harvard School of Public Health published a study in the New England Journal of Medicine that examined the health impacts on states that expanded Medicaid coverage to childless adults between 2000 and 2005. They found reduced mortality rates in states that expanded coverage amounting to 2,840 deaths prevented per year for each 500,000 adults gaining Medicaid coverage. Mortality reductions were greatest for racial and ethnic minorities and residents of the poorest counties. 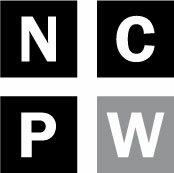 In 2014 researchers from Harvard and the City University of New York combined data from the Oregon Health Insurance Study and two larger examinations of mortality and lack of health insurance to project that between 455 and 1,145 North Carolinians will die every year without expansion. Think about that for a second: the political leaders of our state literally hold the very lives of thousands of their fellow citizens in their hands. There are many other critical facts that militate in favor of Medicaid expansion – most notably the billions of dollars and thousands of jobs that would flow to the state and the simple dignity and reduction in stress and fear that would flow to hundreds of thousands of good human beings – but all of these ultimately pale in comparison to the death toll that could be dramatically reduced right away. Even if it were somehow true that the state would face significant new expenses to effect such a reality (and as is explained here, it will most certainly not), it would still be the single best and most important thing that elected officials could do for their state and their fellow citizens in 2015 (or just about any other year). And so it is that 2015 will serve as the defining moment in the gubernatorial term (and probably in the political career and life) of Pat McCrory. The Governor says he wants to expand Medicaid and though he’s late to the party and muddled (sometimes absurdly so) in his explanations, he deserves credit for taking such a position. That said, he has given little indication of any real capacity to deliver the goods on the issue –even with the Obama administration’s willingness to agree to almost any conditions. As with so many other positions espoused by the Governor over the last two years, McCrory seems to be flummoxed about how to take charge and make it the law of the land. After having spent the better part of six years campaigning to be Governor, he seems surprisingly incapable of seizing the bully pulpit and appealing directly to the public for something in which he believes. 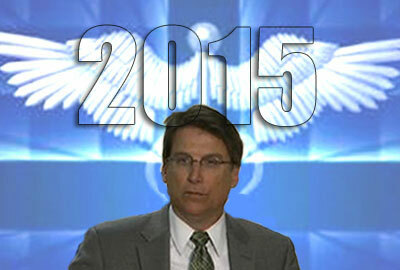 All of which in combination serves to make 2015 a defining year for the McCrory governorship. Will the man finally unearth his inner Jim Hunt and lead the state on the most important of issues or will he continue to meander along as a glorified caretaker and junior partner to the leaders of the General Assembly? The bottom line: It’s hard to say exactly what will happen this year in Raleigh, but come July, the presence of this most critical of issues assures that it won’t be hard to assess the results. Stay tuned.